With the warmer months just around the corner, it has never been a better time to get in shape, shed unwanted kilos, fit back into those old clothes you have hidden away and turn your body into a Greek statue! But many soon-to-be health enthusiasts get confused or downright bored when planning a fitness routine that will improve their overall health. Located below are five unique approaches to stay in shape and change your body for the better in the summer months ahead. Simply put, people perform better when there’s a time constraint on an event they’re looking forward to. Ask yourself this: Whenever there was a specific occasion on the horizon – a wedding, birthday, family meeting, class reunion, etc. – what did you do to prepare yourself? If you’re like most of us, you hit the gym and started consuming a healthy diet. Although you may have had a few days where you fell off of the wagon, you stayed consistent, right? What prompted this short burst of discipline and routine is that there are time-specific foundations that must be met. In short, if you fail to meet your daily workout requirements or splurge on your diet, your results will show. In the same regard, joining a 12-week fitness regimen will force you to adapt and mold your actions to fit newfound standards set forth by the instructor. In the same way that we choose clothes, movies and meals that suit our needs and personal interests, our fitness program should be tailored to our specific personality. Readers may find that they have a certain level of fitness, unique ailments and health issues that may hold them back in comparison to the average individual. If you’re in the Brisbane area and want to get into the best shape of your life by the end of this year, finding a studio that forms an approach specific to your needs is a must! 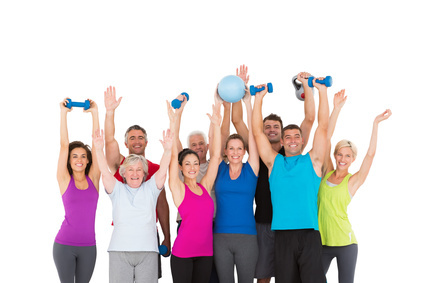 By joining a sport club, you will have access to the right equipment and certified personal trainers who can help you choose the best exercise plan for your fitness goals. In conjunction with strategy number three, consulting with a sport podiatrist to ensure that your workout routine is safe is extremely important. For those of you that may not know, a podiatrist is someone that works with individuals – usually athletes – to further diagnose and treat their foot-related issues. Without strong, sturdy and healthy feet in which to walk with, exercising may become more difficult than it needs to be. These highly-trained professionals can also assist you with lower body movements that can strengthen the connective tissue in the lower extremities and assist you in the road to recovery. Remember: Your body is a vessel that needs to be strengthened to move adequately throughout the day. The way to ensure your level of fitness reaches the next milestone is to tackle a grueling yoga workout in the upcoming days! Although yoga is beginner friendly and provides a plethora of movements catered towards each individual, it’s one of the most demanding workout challenge ideas that you can put yourself through. Millions of people around the globe use yoga techniques as a means of reducing lower back pain, assist with a healthy pregnancy, become mindful in their actions and shed tons of weight while building lean muscle. If you’ve ever wanted to try something radically different than what you typically see in the gym, this approach is right up your alley. The last step to ensure that you become the best version of yourself before the year ends is to have fun and get creative immediately. The key to any successful long-term program is that you tweak and change specific elements that keep your exercise routine fun, energetic, lively and spontaneous in the weeks and months to come. Millions of people around the world, just like you and your friends, realise that certain aspects of getting in shape can be daunting. But when you challenge yourself and change your outlook on your actions, working out and changing your body not only becomes entertaining, it becomes something you look forward to!